Bofors guns swing into action as Indian Army warns Pakistan not to target civilian areas, and vows to give befitting response to any ‘misadventure’. New Delhi: India has warned Pakistan of “dire consequences” as both armies are engaged in a heavy artillery battle along the Line of Control. Responding to the use of heavy artillery guns by the Pakistan Army, the Indian Army has also opened up the 155 mm Bofors guns, which had pulverised the enemy during the 1999 Kargil War. 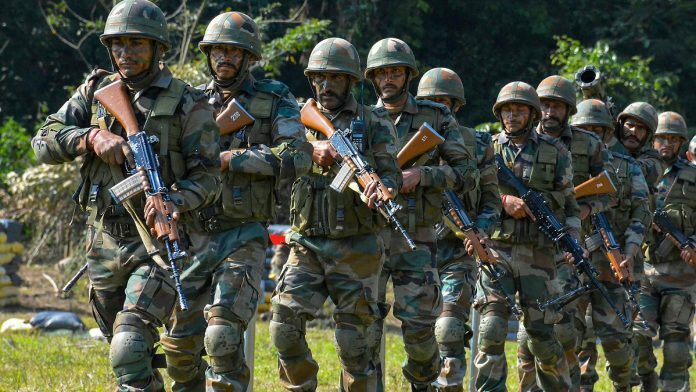 “In the last 24 hours, the Pakistan Army resorted to intense and unprovoked firing with heavy calibre weapons in selected areas of Krishna Ghati and Sunderbani, targeting Indian posts and civilian areas with mortar bombs and heavy artillery guns,” a statement released by the Indian Army said, adding that the Pakistani aggression was “effectively retaliated by the Indian Army”. It also stated that as a professional army, it is committed to avoiding civil casualties, especially along the Line of Control. “All actions taken by our defence forces are targeted towards counter-terrorism and terrorist infrastructure, away from civilian areas, to avoid civilian casualties,” it said. Asked what it meant by “calm” while also saying that heavy artillery has been used in the last 24 hours, an officer explained that the situation is better than it was previously. The Indian Army has always responded to the Pakistan Army in the same calibre used by it. In the past, the ceasefire violations used to be, at most, limited to the use of the 105 mm field guns in direct fire use, or heavy mortars, besides other weapons. The use of heavy-calibre artillery means that the Bofors guns have got into action. Sources said the artillery is being used for direct fire and not the way an entire regiment of guns are used in war.